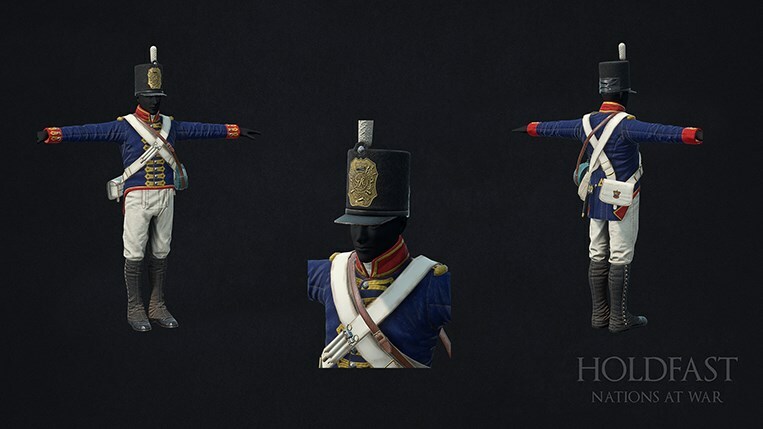 Holdfast: Nations At War has been updated. 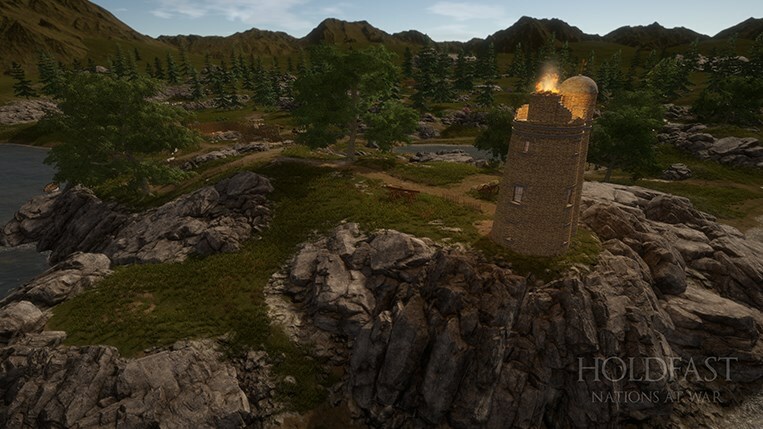 Named after King George himself, we’ll be introducing yet another map in this week’s release! 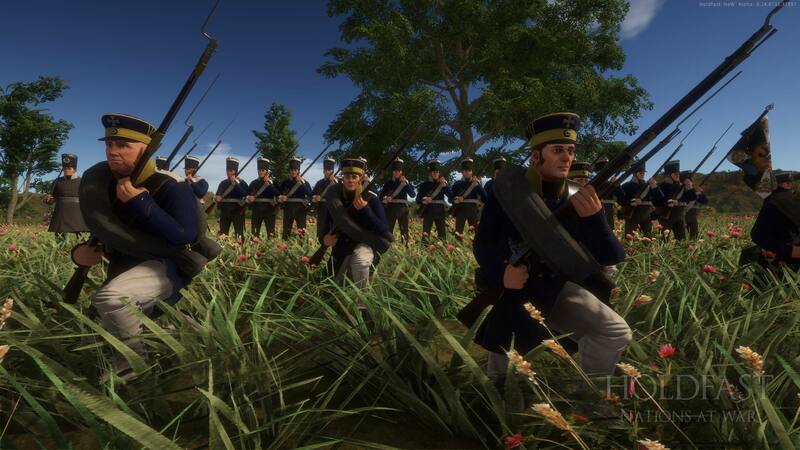 Join the rank and file as Holdfast: Nations At War is now 50% Off for the duration of Steam’s Black Friday sale. More about what’s the come in our latest blog post. Strive for control over two war-thorn camps. Situated near the coastline, a lighthouse stands to overlook the possibility of an invasion. 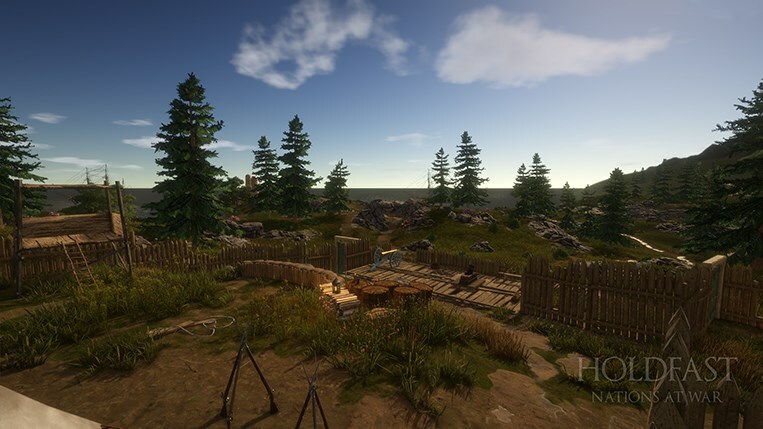 Along the paths leading to these camps, you’ll find plenty of opportunities to outwit your enemies as you attempt to break through their defensive positions. 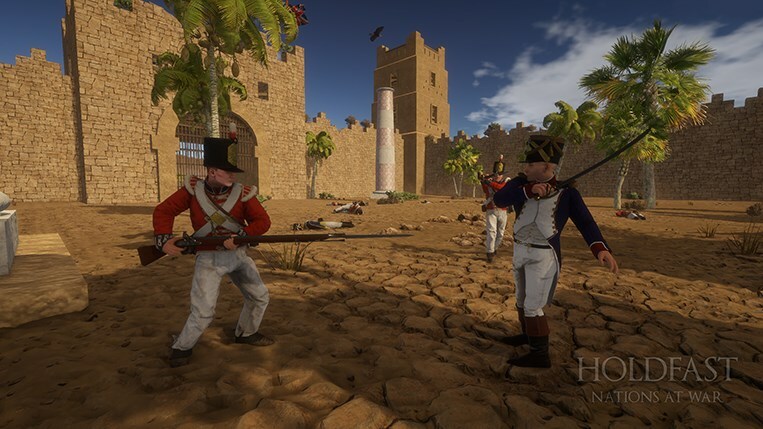 Designed with the intent to promote quicker more action paced gameplay, King George is playable on the Army Battlefield and Army Conquest game modes. Join one of the Army Front servers hosted in various regions to check it out! Here’s a first-hand look at the map. We’d like to once again affirm our ongoing dedication towards pushing forward frequent game updates. To this effect, we recently introduced two developers, Dylan ‘Wrexial’ Abela and Alistair ‘PingPong’ Azzopardi to help produce content at a faster pace. We have also optimised our development pipeline to allow us to bring more members into the team as the game grows. Here’s a very brief list of what we’ve been up to during the past few months. - Army Front! Battlefield, Conquest and Siege game modes all in one rotation. 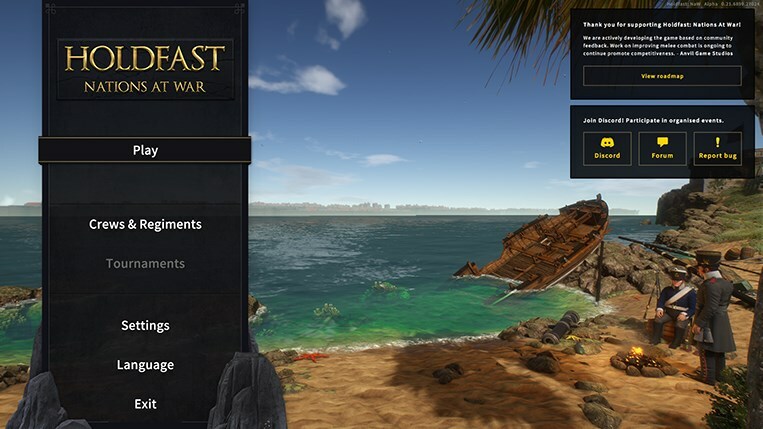 » Multiple improvements to the Army Conquest game mode based on community feedback. - 8 New Maps! King George, Ernest Ridge, Fort Salettes, Fort Schwarz, Snowy Plains 3 (L), Grassy Plains 3 (L), Desert Plains 1 (S) & Snowy Plains 1 (S). - Melee Combat Mechanics! Direct improvements towards melee combat. More work will follow on this mechanic in a future update based on community feedback. - Melee Arena Game Mode! Come up with new strategies on how to best your opponents before the arena gates open throwing you in a single-life team-based battle to the last man standing. Melee weapons are your only arsenal. »6 new maps specifically designed for the Melee Arena game mode. - End of Match UI! Strive for the very top before the match ends to boast about your standing. - Game Engine Upgrade. This was one of the largest undertakings that the team has undertaken to date. - Server Optimisations. Multiple server optimisations to stabilise performance over long periods of run time and reduce latency when a lot of players are in close proximity. - Customisable Crosshairs. A much-requested quality of life addition that gives players full control over their crosshairs. - Recruitment Channel. A dedicated chat channel that regiments (game clans) can use to advertise their own group. » If you aren’t too keen on seeing recruitment messages, we’ve also included an option that allows you to disable this channel through the ‘Game’ options. - Quality of life additions, performance optimisations, bug fixes, gameplay balancing and a whole lot more. Expect more updates to follow soon. We’re going to stick to our plans and focus on artillery mechanics for the upcoming major update. The majority of the groundwork required that will allow players to move field guns around on the battlefield is already in place. Our sights are set on having a BETA up in the next few weeks. 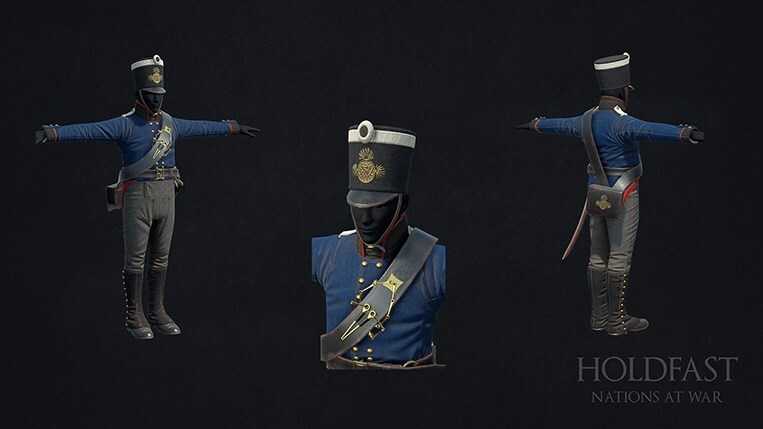 Until then, have a good look at a couple of uniforms for the Cannoneer class that will be introduced in the same update. Looking for a good bunch of fellows to play the game with? Do join our Discord! 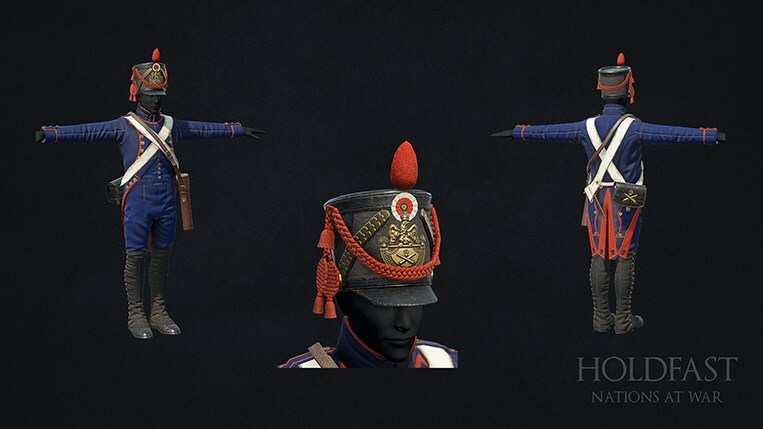 Linebattle events were players are encouraged to play in formations relevant to the Napoleonic era are hosted by the community throughout the week. - A New Map! King George. Now playable on the Army Front official servers. - The official server list found in the ‘Join Other Server’ panel has been updated. If you are unable to see servers in the lobby, you can use this to connect to any of the official servers. 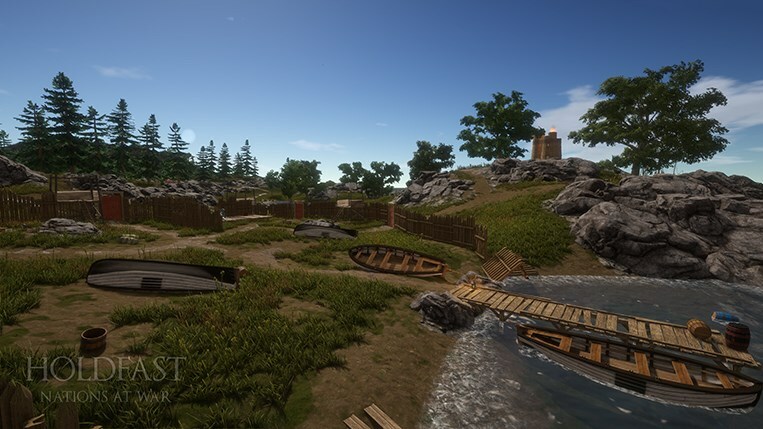 - You will now find a link to the official Holdfast Discord in the game’s ‘Escape’ menu. We wanted to make sure that joining the community on there is more easily accessible. - Re-designed a section to the top right of the main menu that re-directs players to various places were our community resides. - Capturing all flags in the Army Conquest game mode will no longer end the match. - Re-positioned the spawn points on Snowy Plains 2 for the Army Battlefield game mode. - Reduced the time it takes before the Army Battlefield and Army Conquest game modes end in the official Army Front rotation from 25 to 20 minutes. - Reduced the number of reinforcements on the Army Battlefield game mode to balance everything in accordance with the above-mentioned change. - Re-visited the rotation of the Plains maps in the Army Front rotation so the maps that can more easily encourage line battle engagements to occur are rotated more frequently. - Confirmed fix for a bug which reduced firearm accuracy over long periods of server runtime. Once again, we would like to extend our heartfelt thanks to all the regiments and indeed the entirety of the community for their support. We’re working on the next update and until next time, may good health be yours.